SARAJEVO, BOSNIA AND HERZEGOVINA. 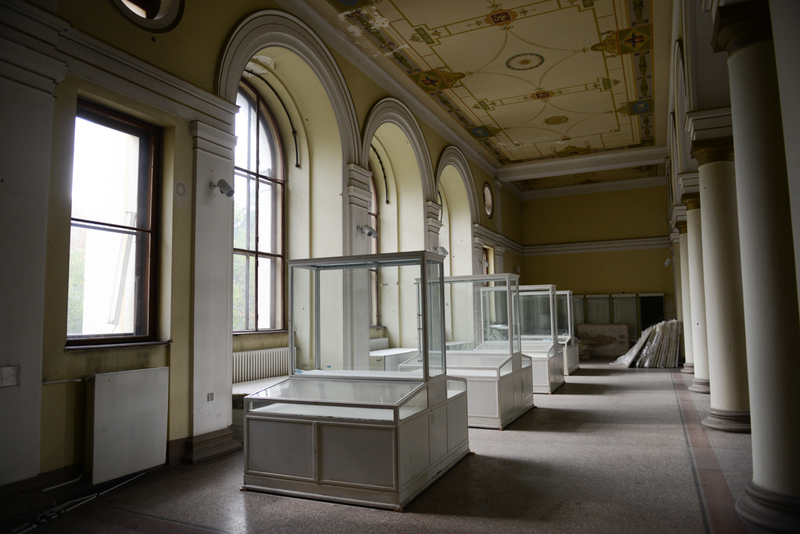 Empty display cases in the archeology section of the Bosnian National Museum which museum keepers said were emptied for the safekeeping of artifacts on October 15, 2014. The museum closed its doors on October 4, 2012 after employees had worked one year without salaries, many of whom continue to work without salaries to this day; the Bosnian National Museum is short the minimum 700,000-800,000 Euro it would need to keep its doors open.